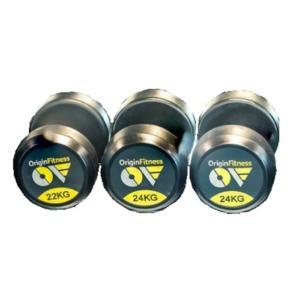 Origin Fitness Rubber Vinyl Dumbell made of fixed-weight, vinyl coated dumbells. 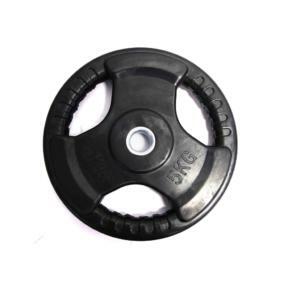 These include individual vinyl dumbells in 1kg increments from 1kg to 5kg. 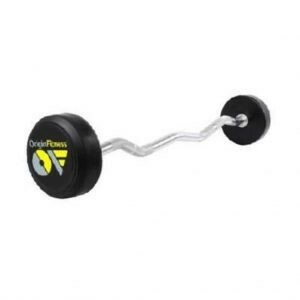 The Origin Fitness Vinyl Dumbell is made of fixed-weight, vinyl-coated dumbells. The dumbbell, a type of free weight, is a piece of equipment used in weight training. It can used individually or in pairs, with one in each hand. Dumbbell – an exercising weight; two spheres connected by a short bar that serves as a handle. 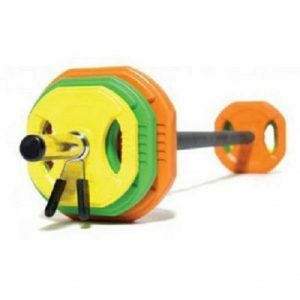 Exercising weight, free weight, weight – sports equipment used in calisthenic exercises as well as weightlifting. It is not attached to anything and is raised and lowered by use of the hands as well as arms.